Gab, for example, is a product that arose in direct response to increased censorship on Twitter. The app has found itself de-platformed from both major phone app stores, even before user Robert Barnes killed 11 people at a Pennsylvania synagogue earlier this year and heightened law enforcement’s attention to the site. It’s worth noting that Facebook, a prolific donor to America’s political class, did not receive similar treatment when it was used to broadcast torture and murder. Similarly, cryptocurrency exchanges have faced backlash from government officials, traditional financial services companies, and tech companies in their effort to build alternatives to state-controlled financial networks. Tho Bishop is an assistant editor for the Mises Wire, and can assist with questions from the press. Contact Tho on Twitter. 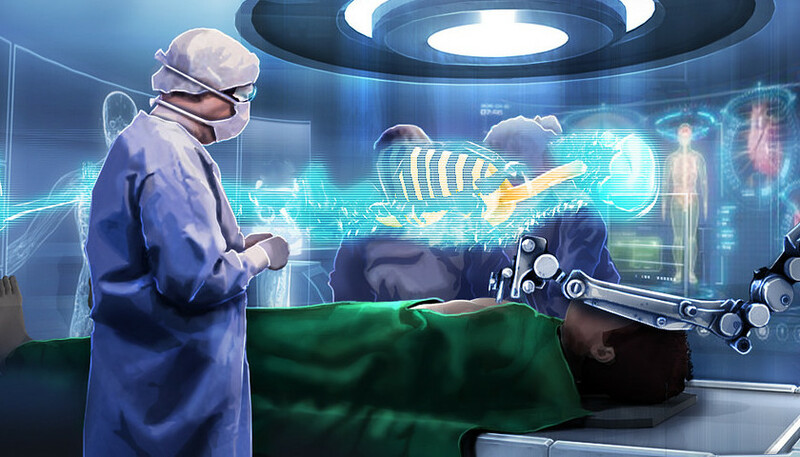 Photo “Futuristic Healthcare” by Brother UK CC2.0.